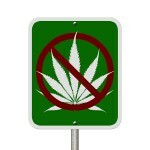 On April 22, the U.S. Supreme Court handed down a landmark ruling in Navarette v. California. In that case, an anonymous telephone tip about a drunk driver led to a stop, search, and discovery of marijuana in the suspect’s vehicle. A 5-to-4 majority of Supreme Court justices said the police acted legally. Four justices dissented; writing for the minority, Justice Scalia asserted that the Navarette ruling opens a door for slowly shrinking our constitutional freedoms. Justice Scalia may have been right. Already, law enforcement agencies in one state are setting up an anonymous call line ostensibly to aid police efforts to track down intoxicated drivers. The Sanders County, Montana DUI Task Force met in June to establish a tip line. Anonymous tip lines were already in place in some jurisdictions in Idaho and Wyoming, but since the Navarette decision, Sanders County officials are moving forward because anonymous tips may now be considered probable cause for stopping a driver. 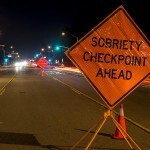 If you are stopped and accused of DUI for any reason in southern California, it’s a serious matter; get legal help immediately and call an experienced Orange County DUI defense attorney. If you are falsely accused of DUI by an anonymous tipster, in some cases a good DUI defense lawyer may be able to have the charge simply dropped. The Constitution does not permit searches without probable cause, but Navarette revises the legal definition of “probable cause” to include potentially any charge made in jest, whimsy, or anger by anybody who wants to stir up trouble. 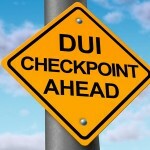 The Navarette ruling may also mean a substantial rise in the number DUI stops and arrests, especially in jurisdictions that establish tip lines and actively solicit anonymous accusations. If you’re accused of DUI in southern California because of an anonymous tip or for any other reason, get legal help promptly from an experienced Orange County DUI defense attorney.